Mark’s heroic tour de force by bicycle to Rio started in November 2015. 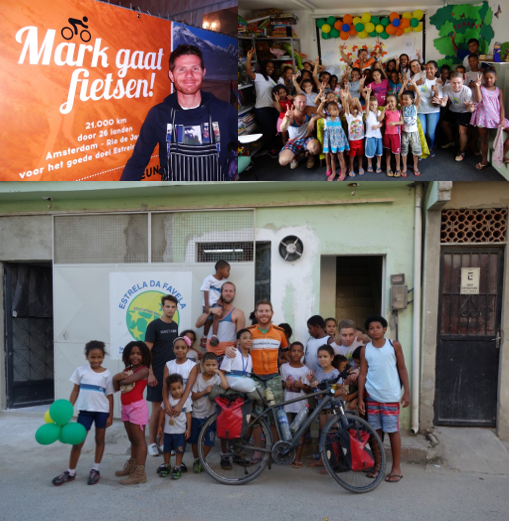 Syngaschem BV supported Mark financially with a start contribution, plus an amount for every border he crossed on his tour to Rio de Janeiro. Being on the road for ten months and having cycled a distance of 21.950 km, Mark finally arrived in Rio de Janeiro on July 10, 2016, well in time for the opening of the 2016 Olympics. There, he received a warm welcome by his friends from Estrela da Favela (Star of Favela). Syngaschem BV has acknowldeged his impressive achievement by granting additional sponsoring of 250,- Euro. In his daily life Mark is a cook in an Eindhoven restaurant. His hobby? Cycling of course! What ever his future plans may be, we wish him all possible success! located in the slums near the Maracana stadium in Rio de Janeiro. Violence is part of daily life in the slums: gangs, drugs, alcohol, domestic violence. Many young children spend too much time in the streets, while they should be at school. Instead they end up in crime and prostitution. Education and knowledge are the fundament of progress in every culture. 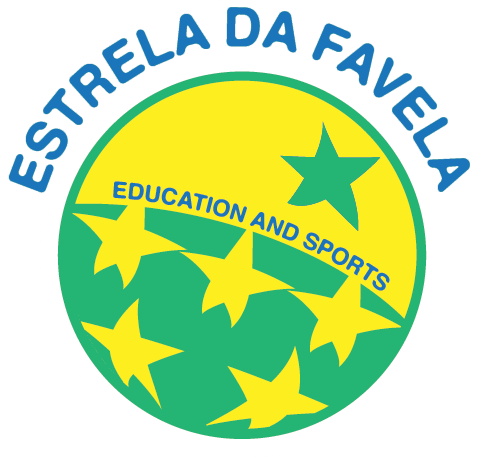 Estrela da Favela uses a program of football and tennis as means to attract children to go to school and to get them excited about school. Teachers and sport coaches teach the children that discipline, structure and responsibility are needed to successfully work in teams and to develop talents. Estrela da Favela needs materials for school, such as books, pens, a laptop, as well as clothing and shoes for sports, but also basic things like medicines, first-aid kits, and even food for healthy lunches.